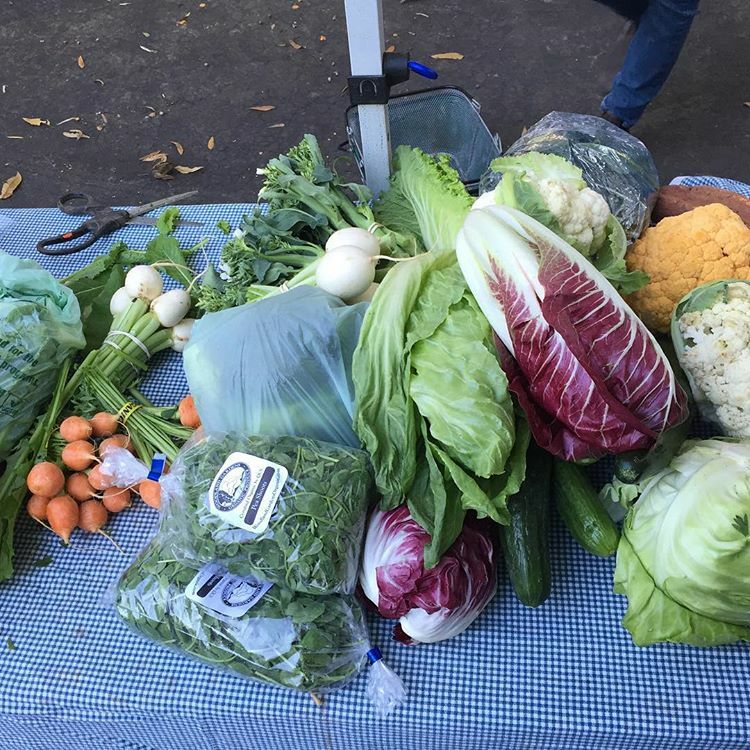 For the first time, this two-year-old market at the Carter Center will stay open year-round. That means shoppers have more access to the strong stable of vendors including Riverview Farms (meat, eggs, vegetables, and grain), Star Provisions (bread and premade sandwiches), and Woodland Gardens (vegetables, eggs, and flowers). Don’t miss the chef pop-up tents, where popular local talent vend brunch-y items instead of traditional demos. 53 Freedom Parkway Northeast, Saturday, 9 a.m.-12 p.m.
Perhaps one of Atlanta’s oldest markets, Morningside, located across the street from Alon’s Bakery in Virginia-Highland, is small, but there are plenty of goodies to be found. Favorites include Riverview Farms for meat, Crystal Organics for gorgeous and pristine vegetables, and La Calavera Bakery for bread. You can round out your shopping with milk and other goodies from Alon’s, including one of their awesome breakfast sandwiches. 1393 North Highland Road, Saturday, 7:30–11:30 a.m. Located in the Aberdeen Village Shopping Center, this market, which features more than 50 farmers and artisans, is open during the offseason. Vendors sell everything from produce to bread to grass-fed meats and local honey. The market has also rolled out a weekly or bi-weekly Farmers Market Basket subscription service for families that live in Fayette and Coweta Counties. 215 Northlake Drive, Peachtree City, Saturday, 9 a.m.–1 p.m. This market, which is part of Community Farmers Markets, likes to boast that it’s part of “Indie-Catur.” The local, sustainable, and organic market features both well-known (Johnston Family Farms milk) and lesser-known (Le Tre Lune at Glover Family Farm) vendors. 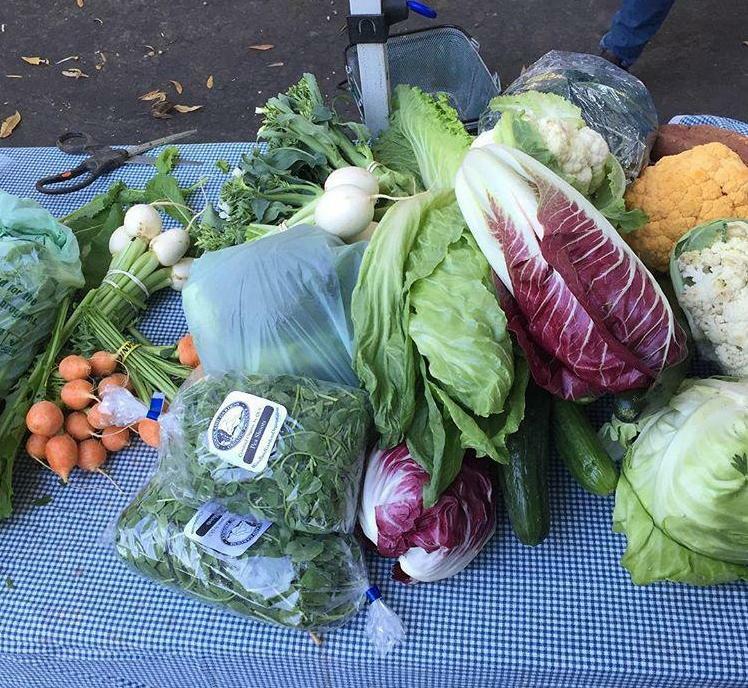 While the Saturday market takes a break after December 17, the Wednesday market runs through the winter. 308 Clairemont Avenue, on the lawn of the First Baptist Church of Decatur, Wednesday, 4-7 p.m. Note: The Wednesday market is closed December 28 and January 4.